All Y7 students are brought in to the academy a day before the rest of the student body so that we can, working with senior students become quickly inducted in to the values, routines and rituals that permeates our daily practice. Throughout the day we use team games to teach them to quickly line up in the school playground ready to go to their lessons. They work with their new form tutor in learning the importance of the mantra that focusses them on their learning at the start of each lesson. We teach them how to shake hands firmly with good eye contact when greeting an adult and, towards the end of the afternoon in the presence of their parents, they sign an ASPIRE contract and are presented with the academy tie as they formally become members of the academy. Being a Free School we had to share our vision of character driven education with parents and community groups in order that we could gain the five hundred signatures necessary to support the bid. Since then our annual open morning for prospective parents has focussed on showing that strong character education can be the foundation stone of a successful education. All presentations start with our mission statement and we show how our ethos and school day are different to other schools. We do not try to use character education as a ‘selling point’ and point out that our longer hours and values based approach which focuses on strong routines and rituals may not be the education they are seeking for their child. However, we do use international research results to justify our approach. Despite our honesty we now have, having been open for just three years, almost two applications for each of the 120 places in year seven. Having gained a place at the academy for their child all parents attend a personal interview where, once again, we explain our approach and why we have chosen leadership and character education as the principal drivers for academic success. On arrival into year 7, all parents attend the ASPIRE ceremony where their child, as a rite of passage, is formally inducted in to the academy. 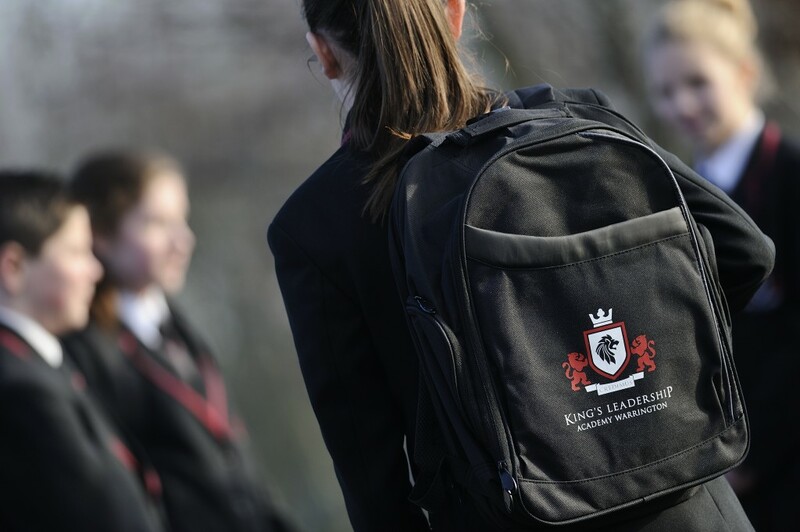 Staff selection at King’s is not limited to the observation of a previously prepared lesson and an interview. We use a much slower process which starts with inviting interested applicants to visit the school before applying so that they can gain a greater understanding of our approaches. When shortlisting applicants, we look for candidates who have taken time to research the school and refer directly, in their letter of application, to our approach to education. We ask shortlisted candidates not to prepare a sample lesson as they will be given an hour on the day of the interview for lesson preparation. At the start of that hour we give each candidate detailed information regarding the class they will be teaching, their previous learning and the topic we want them to teach. This prevents much practised lessons being ‘pulled off the shelf’. We only take forward to interview candidates that show promise in the classroom. When observing, we are not seeking the perfect teacher but looking for that special candidate that we think we can help develop in to a first class practitioner. The interview is a surprise to many of the applicants. The first part is based firmly around the school’s values and taxing questions are asked to determine the character traits of the applicants. Mission alignment is a crucial part of our appointment process. The second part of the interview tests their pedagogical knowledge – not to see whose is best but to inform our training programme if that applicant is selected. In the final part of the interview we give feedback on our observation of their lesson and invite debate on our observations. The academy has a partnership agreement with the Brathay Trust, which is a charity whose mission to improve the life chances of children and young people. Our students regularly visit their outdoor pursuit center in Ambleside as part of their leadership programme. Each July all King’s staff, including new recruits, spend a weekend at the center where they re-visit or are inducted in to our character education programme. Through specific character testing team games we reinforce our values, develop collegiality and align with our mission. We spend crucial time explaining our educational approach and the rituals and routines that underpin the daily life of the academy. Once the school year has started our personalised CPD strategies include the fostering of curiosity, conscientiousness, neighbourliness, community spirit and perseverance in the delivery of their lessons so as to enhance the character growth of our students.